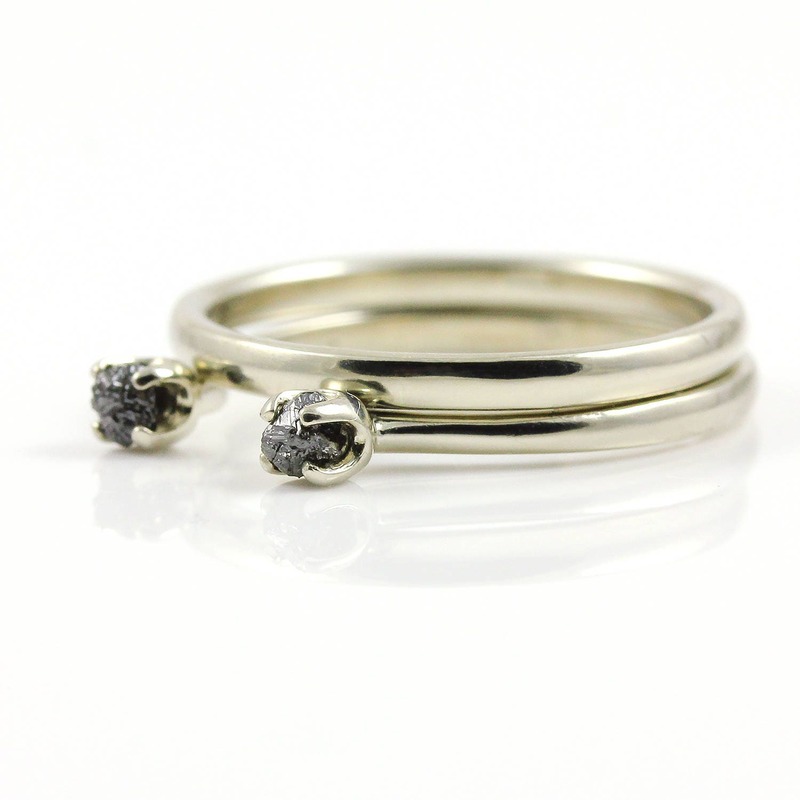 This classic wedding set features open design ring with black rough diamonds and a matching comfort-fit weeding band. 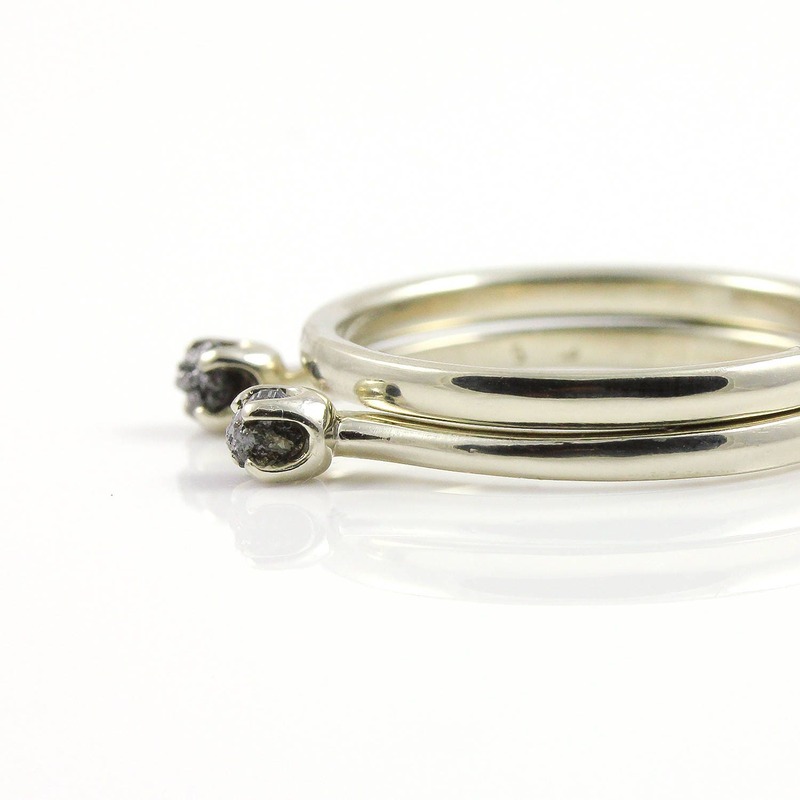 This simple yet classic ring includes two tiny black rough diamonds that are set on 4-prongs setting on each end of the ring. 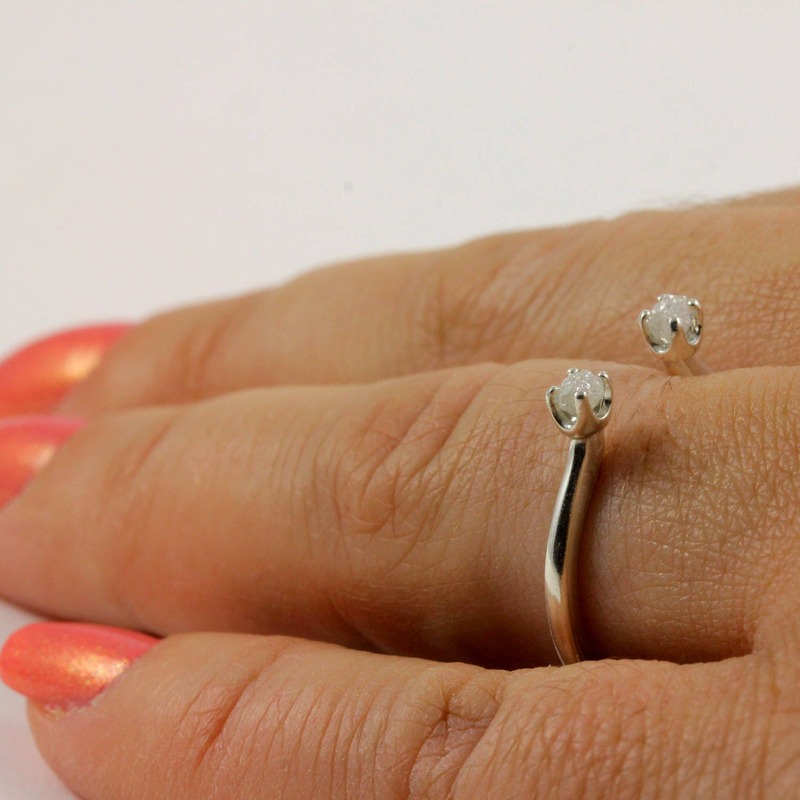 Each diamond measures about 2mm and weights 0.15ct, total of 0.3ct for both. 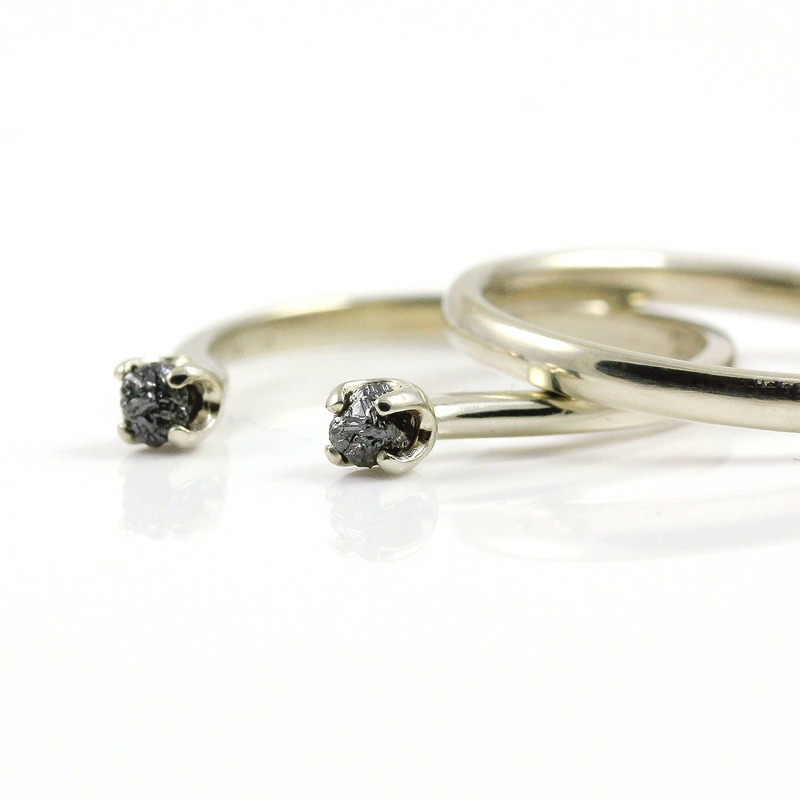 Since the diamonds are natural and unfinished, they may slightly vary in size, shape and color set on a ring. 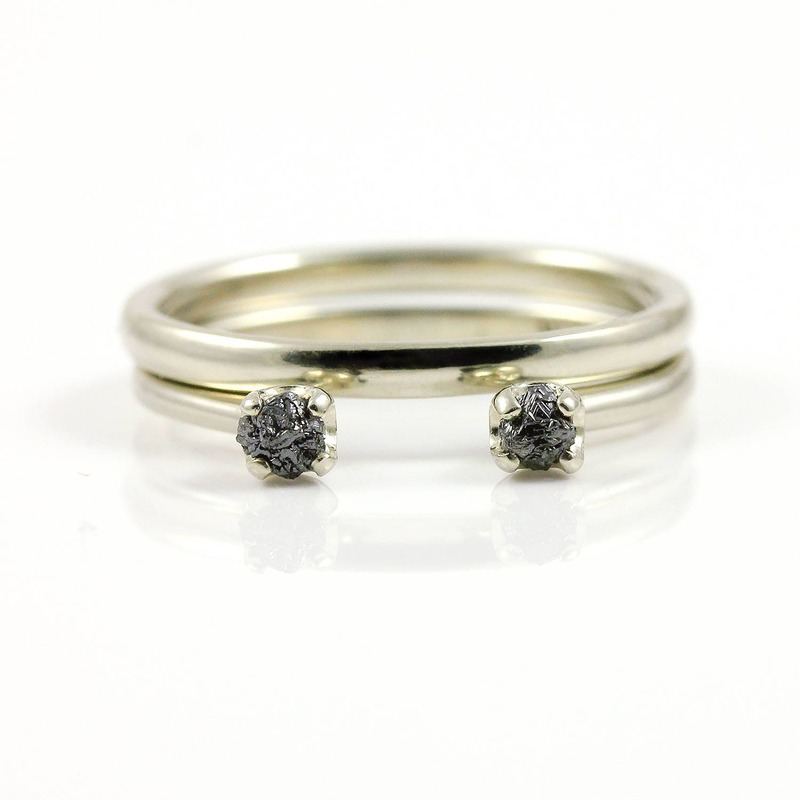 The ring is available also with white and blue diamonds. Contact us for details. 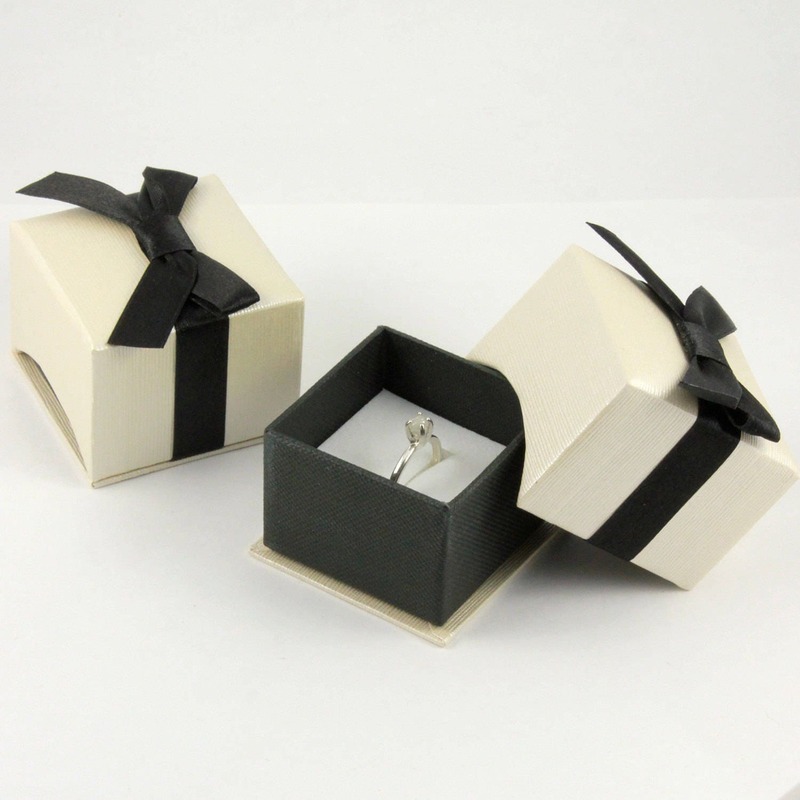 The ring comes in a nice gift box as featured in the picture #6. It is ready for gift giving!